In New York City a tourist can find any manner of person or thing stocked as the city is with cultures as varied as they are different. As for a local, they can find what the tourists can only imagine, familiar as they are with the local twists and turns…but what about the fabled NYC sewer alligators? Is there any truth to this Urban Legend that has persisted since the 1930s? No one can argue that there are some pretty frightening things in New York City, especially in places that hide from the light of day and scrutiny of the throng, but alligators? Where did such a tale come from? There are two likely sources for this urban legend. The first comes from actual alligator sightings in New York. 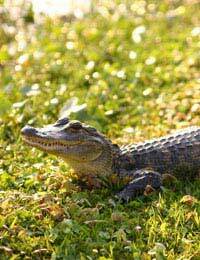 According to the New York Times, stories of gators being found and hunted for began in the 1930s, with concerned citizens reporting on or bringing in a dead gator and the like. In most cases a little investigation turned up the facts, that these gators emerged not from the sewers, but escaped their owners. People likely did bring gators up from Florida as pets and, in some cases, may have even flushed them down the toilet. The odds of a baby gator surviving to the sewers is minimal, however, and there remains the fact that no reports of gators in the sewers have ever been made from official sources. There was, however, a book. This would be the second likely source of the urban legend. In the book “World Beneath the City” author Robert Daily told the story of the then-head of the sewer system, Teddy May. According to the book May doubted the stories of alligator nests in the sewers, but was pushed to check it out for himself. May found a thriving colony after all of 2- foot long gators; the book then detailed the various methods of dispatching the lizards.